The 2016-17 NHL season is a month away and teams are putting together their training camp rosters with a handful of prospects ready to challenge for spots. The rookie class features some incredible talent led by two picks from the 2016 draft in Auston Matthews and Patrik Laine. This is far from a two player race, though. The Central division is led by two prospects who are Calder trophy candidates; Mikko Rantanen and Laine. Rantanen was named AHL Rookie of the Year last season tearing through the league with 60 points in 52 games. He’ll be looking for a bigger role in Colorado this year but some of his biggest competition to win the Calder will be in his own division. Laine has all the pedigree and billing of being hockey’s next big European star with comparisons to Alex Ovechkin and Anze Kopitar. That said, there is a certain amount of European flair amongst the top prospects in the Central division. Here is the complete listing for Central division prospects. Analysis: If there’s one NHL team that has consistently drafted and developed prospects without missing a beat as a contender it’s Chicago. If there wasn’t a hard salary cap system the Blackhawks would possibly still have multiple stars like Dustin Byfuglien, Andrew Ladd, Andrew Shaw and Brandon Saad. Chicago has drafted well and can replace those players, something that’ll need to continue to stay on top. Schmaltz, who left college to sign an ELC in Chicago, will get the best shot at cracking the top six. A solid two-way playmaker who took huge strides forward in his defensive game with North Dakota almost brought teammate Drake Caggiula with him. Schmaltz still has to build onto a slight frame and it’ll be interesting to see how he does adjusting to the pro game. Chicago still boasts other prospects like Ryan Hartman who had a decent year in the AHL to go along with three NHL games last year. He’ll get a look at a top-nine role, as will Mark McNeill who is five years removed from his draft and projects as a solid fourth line option this season. The transition period has already started for the Hawks, it’s now hoping these young guys coming up keep them at the top. Analysis: Rantanen is arguably one of the top prospects in hockey right now. 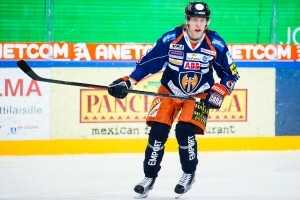 As a European prospect, he was AHL eligible and proceeded to carve his way through the league playing for San Antonio. Rantanen scored 60 points in 52 games before struggling through a nine-game stint near the end of the year with Colorado. A lot of blame for his NHL struggle was attributed to his usage by former coach Patrick Roy, where he averaged just 8:57 TOI with no powerplay time. This year will be a different story. Rantanen will have a chance at a top six role and play with either Nathan MacKinnon or Matt Duchene and could very well win the Calder trophy if it all works out. Beyond Rantanen, there is Tyson Jost who projects as a top-six center down the road, goaltender Calvin Pickard who may become a future number one. Defenseman Chris Bigras who could breakthrough on the Avs defense this year and forward JT Compher who will get a chance to crack the top nine in camp. Analysis: It might be Esa Lindell who’s more likely to make the big jump to the Stars main roster but don’t let that fool you — Honka is the Stars biggest prospect. Lindell is set to explode this year with a spot on the Stars defense and with Finland at the World Cup of Hockey and we haven’t mentioned his gold and silver medals at the most recent World Juniors. Lindell will be expected to contribute and make up for the 37-point drop off from number one John Klingberg and the next defenseman in Dallas. It might be Lindell who is the most NHL ready but Honka has the higher upside as an offensive defender with two-way acumen. 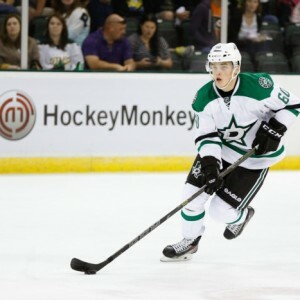 Honka skates well for a smaller defender and has strong mobility. He’s been a great addition to the AHL Stars powerplay and was often used as the triggerman from the point. Strength is his biggest area for improvement. There were times he was boxed out and had difficulty adjusting to the North American pro game but he got better as the year wore on. If Honka can improve his defensive skills the Stars have a scary top three on defense in development between Klingberg, Lindell and Honka. Analysis: In Eriksson-Ek the Wild have the complete package. The Swedish forward can play all three forward positions, is a goal scorer with an elite-level shot, a playmaker and a can play a complete 200-foot game at just 19 years of age. Luckily for the Wild, he’ll be coming to North America and will likely star for their AHL affiliate in Iowa this season. 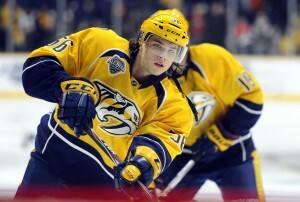 Analysis: Fiala has all the makings to be a top-end forward for the Predators in his prime. He’s a smaller skill-forward but has the potential to be a major difference maker. Entering his second year as a pro he’s already one of the most creative puck handlers in the Predators system and they’re are excited about his ability to make plays at top speed. Fiala led the AHL Milwaukee Admirals in scoring with 50 points in 66 games and got into five NHL games with 11 shots and a goal to show for it. He has to get bigger for longevity purposes but his competitiveness fits well in the Nashville system. The Preds are deep on the left side, so unless there are injuries or he completely outplays the likes of Austin Watson, Viktor Arvidsson or Miikka Salomaki it’ll be hard to see him cracking the opening night roster. Fiala will get into a handful of games again this season but Predator fans might have to wait another year for him to join the team full time. Consistency will be key in his development and getting to play top minutes with special teams in the AHL will do his development wonders. He’s difficult for defenders to predict when attacking because he’s also got a quick release. 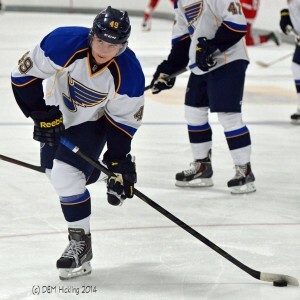 It’ll be a few years until he’s NHL ready but could develop into a really good top six forward for the Blues. It doesn’t end there, though. Goaltender Ville Husso, who had a tremendous year in Finland, is coming over for his first year in North America. Ty Rattie might finally make the jump to the NHL full-time and defenseman Jordan Schmaltz turned pro after three years with perennial college contender North Dakota. Analysis: The Winnipeg Jets might have the best prospect pool in the league and they added a future superstar in Laine at the draft. Laine has some Ovechkin-like comparisons with his shot and instantly gives the Jets a solid one-two punch on RW with Blake Wheeler. He was stellar for Tappara in their Liiga playoff run with ten goals and 15 points in 18 games, winning playoff MVP honors and the league championship. He won the Liiga rookie scoring race with 33 points in 46 games and was a dominant force at the WJC for Finland, leading them a gold medal with a tournament-best seven goals. The Jets are building a very fast offensive group similar to the Pittsburgh-model and finally getting a potential top-tier star might really turn things around in Winnipeg, a team that has made the playoffs just once since moving from Atlanta.